effortlessly, feeling healthy, vibrant and energized. My shoulder hurt and I could only lift my right arm to the 10:00 o’clock mark. I was sore, tired and frustrated. Because of the emotional trauma I was dealing with, I was anxious so often I forgot what it was like not to be. Without realizing it, I lived in a constant state of anticipation, waiting for the next thing to go wrong. Now that I’ve broken the chronic pain cycle, I‘m on a mission to help others release their pain and trauma and advance to the next level of awareness. Trauma and pain don’t have to be a recurring nightmare. Imagine yourself waking in the morning feeling energized and getting out of bed with ease! Feeling healthy, vibrant and energized. Universal Integration™ is the process of restoring your connection to the universe through the evolutionary new bandwidth of frequency brought in via a spectrum of light and information that has only recently been here on Earth. 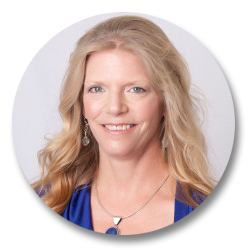 Laura Barton, founder of SourceLight Integrations™, provides profound change at the core. Her beautiful essence and sincere desire to co-create naturally draws people to work with her. Sessions with Laura for SourceLight Integrations™ are available by appointment. Laura Barton is based in Glenwood Springs, Colorado. She works internationally and offers long distance sessions. As SourceLight Integrations™ is not bound by time and space, it is equally effective from the comfort of your home. Schedule your distance healing or remote session today. Discover how SourceLight Integrations™ can help you.